1) Use steroids. There is a fallacy that steroids are harmless and safe if taken responsibly. Besides costing a lot of money (anywhere from$500-$1,000 a month) steroids do have a lot of side effects that include. These are just some of the negative side effects that are well documented. 2) Train longer to get bigger muscles. For the average guy more training does not equate to more muscle. If this were the case all you would have to do is to work out all the time to make great muscle gains. The fact is your body builds muscle when you are at rest/sleep. Spending long hours working out with weights has the opposite effect and is detrimental to your goal of muscle gain. This is also why having a good nights sleep is essential. 3) Workout like a professional body builder. Copying or using programmes for pro body builders found in magazines and some websites only work if you have great genetics. That means you have body genetics which are predisposed to easy weight and muscle gain. There is probably on 1% of the population who have these genetics. Your body will not react the same way as their bodies do. Plus to train the way they do you would most likely have to use steroids. 4) Use supplements, powders, pills, potions to build muscle. Supplements will not stimulate muscle growth but exercise will. All the great glossy huge ads in the magazines are designed to sell you the latest greatest supplement. What is not generally known is that nearly all these magazines are owned by supplement companies. Hard work and a sensible eating plan will save you money and achieve muscle gain. 5) Using exercise gizmos or machines will build muscle fast. Total gym, Bowflex and other similar machines will not build any significant muscle. They will certainly help in keeping toned and give you a workout. However if you are skinny and are after muscle gain a well structured weight training and eating plan will serve you much better. So what does this mean for the skinny person, the underdeveloped under trained person who wants to gain muscle. Follow a structured workout muscle gain plan couples with an eating plan. You will need both if you are to succeed in gaining any muscle. A plan, program or whatever you call it helps you progress to your goal and makes your goal achievable. As in any endeavor if there is no goal or plan of progression you will likely not see much if any muscle gain. 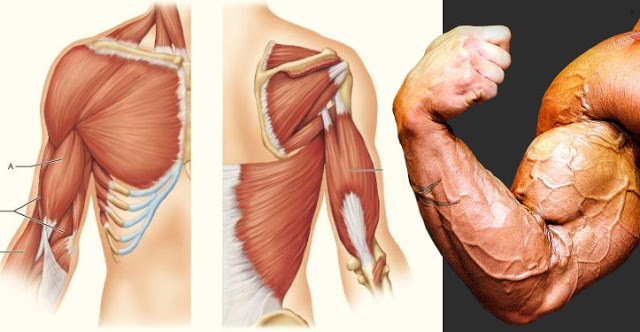 There are a great many resources for gaining muscle. Join a gym, find a personal trainer or you can even train at home. You could use a gym provided program or you could follow a Muscle Gain Program.